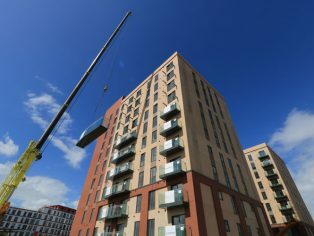 Sapphire and its Scottish installer partner have exceeded Sapphire’s long-standing record of installing 22 balconies in one day with an impressive performance at Pomona Wharf, a new high-rise development on Pomona Island, one of Greater Manchester’s ‘hidden gems’ After hitting the initial target of 23 balconies in one day, a further 34 balconies were installed in just 6 hours and 13 minutes during another day. This represents an amazing install average of just 10.9 minutes per balcony all day long. Nick Haughton, Sapphire’s Marketing Manager, says this new record is testament to Sapphire’s unique and patented Glide-On™Cassette® balcony system, which enables install of fully assembled balconies in rapid times and with improved safety compared with the traditional bolt-on balcony approach. 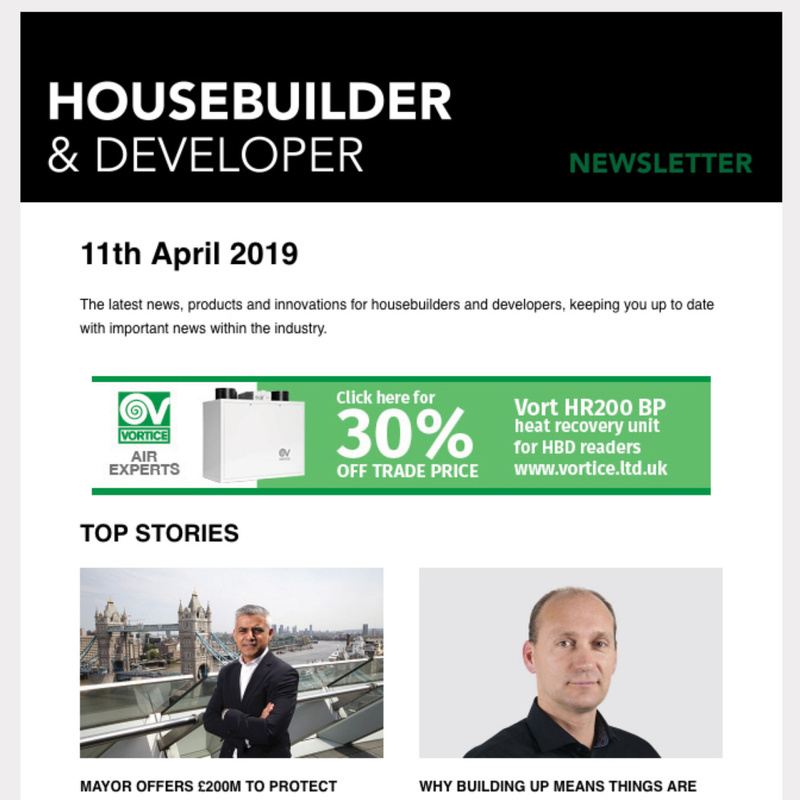 “Although we hadn’t worked with Sapphire’s modular balcony system before the installation went very well and we are all happy with the end product”. The two adjacent buildings at the Pomona Wharf development are part of the regeneration of the former dockland site. 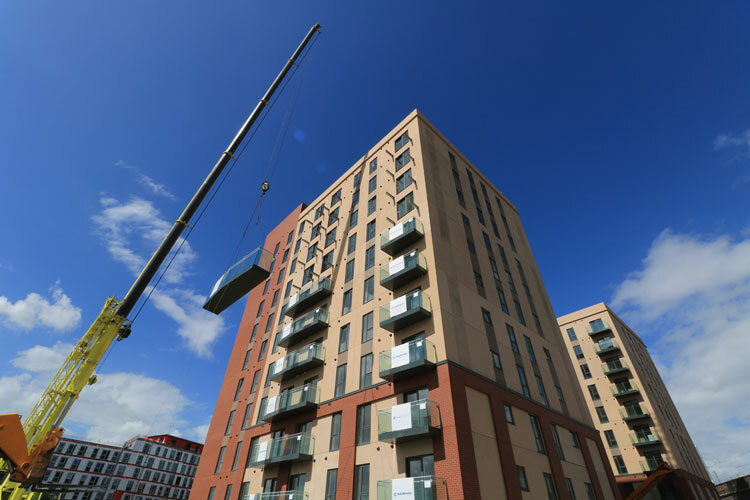 The 10 and 11 storey apartment blocks have been constructed as complete precast concrete solutions. Individual sections of each building’s shell and envelope were delivered to site ready to be craned into position floor by floor. Working in tandem with the build programme, Sapphire manufactured over 100 balconies for the project in its lean production facility. 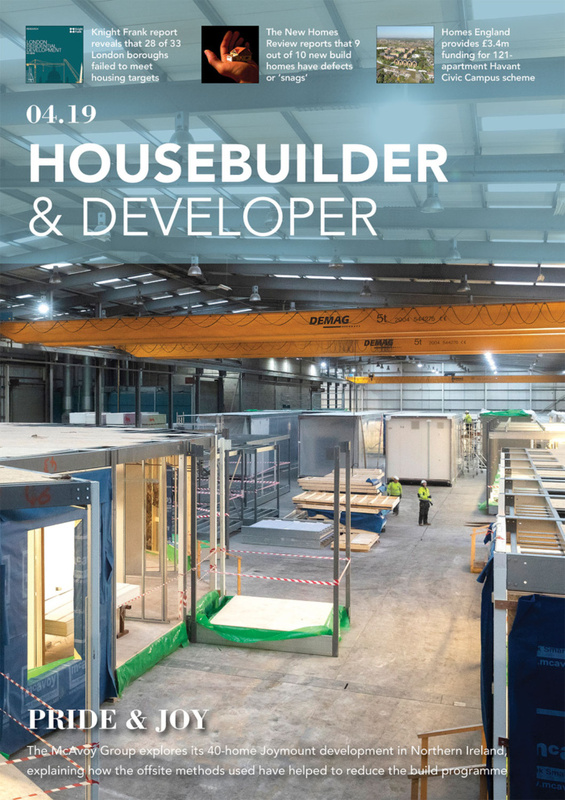 Once each building’s floor slabs were cast, complete with thermally broken balcony brackets and cantilever arms, Sapphire began scheduled deliveries of fully assembled balcony units to site. 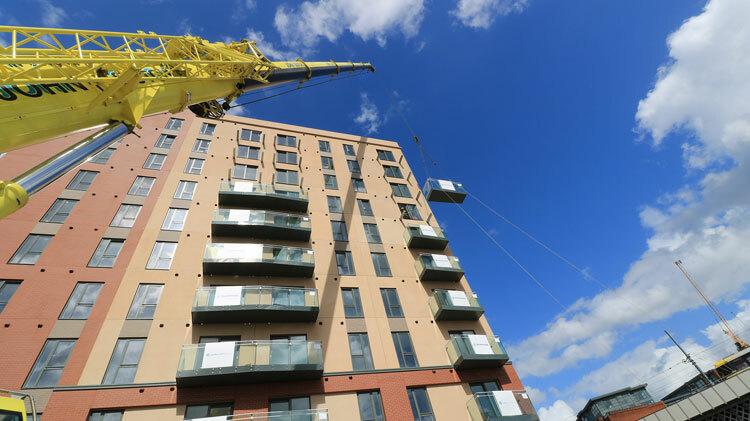 The individual balconies, including glass balustrades and sub-deck, were installed by simply lifting them into position and ‘gliding’ them on to the arms – saving time and minimising crane hire and associated site costs: a simple solution, that is unique and patented by Sapphire. Balconies for the project feature frameless structural glass balustrades from Sapphire’s Crystal range, combined with slim aluminium capping and durable, slip-resistant WPC composite decking. Unsurprisingly, glass balustrades are a popular choice for residential balcony projects like Pomona Wharf. As well as its enduring aesthetic appeal, glass offers a robust, low maintenance solution. In addition, Sapphire’s unique and simplistic base detailing design enables integration with the Cassette® structure. This avoids the need for base channels, which are often one of the most costly parts of a frameless structural glass balustrade, and so make Sapphire’s Cassette® balconies a cost-effective choice for developers.